One of the first ‘fun’ books I’ve read during my BA education was a book published in 1516, Thomas More’s ‘Utopia’, which was suggested by my urban economics professor as an extra reading to understand the idea of property rights and principles of ideal social order in cities. As a first response, I thought that it had nothing to do with urban planning. Later on, same semester, I see the link when analysing ‘communal apartments’ in an assignment to understand how spatial utopias were linked to political ideologies, which were spatialised in cities of socialist Russia through urban planning tools. Utopias of the early 20th century urbanism did not survive long, but they inspired diverse projects and ideas all over the world, and their unknown little histories influenced theories of planning today. 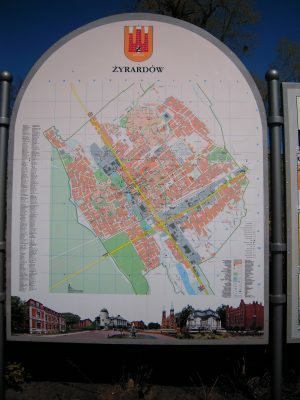 Zyrardow, a 19th century industrial era factory town, which contains excellent examples of modernist era planning, communism, and neoliberal transformation all together! Modernity brought the innovative ideas of architects and designers to the surface, which became to be known as urban utopia’s during the early 20th century. Although they all appear to be quite unique, I have always been sceptical on their designers for disregarding the perspective of people who would live in the areas, houses, cities or neighbourhoods created by them. As I argued elsewhere modernist planning and urban development created a lot of residential space without consulting the people who would live in it. However, one cannot deny that utopias are quite important for cities because they worked as ‘living urban labs’ at the time, which are quite fancy experimental spaces in contemporary urban planning research today. One can even argue that the areas created by the utopians during the early 20th century helped urban planners to understand what does not work. The utopians were usually architects with broader interest in developing neighbourhoods or cities, with strong social principles about how urban space can be organise to provide a better living environment. The first ‘urban planner’ identity emerged out of these urban design-oriented architects. They strongly believed that spatial interventions, designed by an expert, can provide better conditions for urban neighbourhoods. They had ideas for traffic circulation, commuting and public transportation, kind of buildings people should live in, or kind of public spaces people should use. They thought they could create the ‘ideal city’, as Zef Hemel very colorfully illustrated in his lecture of last week at Introduction to Urban Planning. In order to understand the conditions under which the utopias for ideal city are created, one needs to understand the late 19th century urban dynamics a little. Last week I discussed the importance of theory in planning practice in my Introduction to Urban Planning class, where I illustrated the role of theory in understanding the processes that shape the urban space. I underlined that analysing the history, conditions of capital accumulation, and needs for new economic functions in the city can help planning practitioner to understand the future consequences of spatial interventions. In other words, I displayed that practitioners can predict the future if they have the ability to analyse the processes defined by theoretical arguments (such as how industrial revolution speeded up the capital accumulation processes in cities). As Fainstein and DeFillipis put it in the introductory chapter in their “Readings in Planning Theory” book in reference to Peter Hall (2002) planning emerges as the twentieth-century response to the nineteenth-century industrial city. However, Fainstein and DeFillipis criticise the reading of the history through famous urban utopians’ actions, as they argue that there is a great deal of ‘exclusion’ in this way of historical analysis, just based on the influence of the special designer or the state, which disregard the influence of marginalised and oppressed actors at that period. In other words, they tell us to read the alternative histories, parallel realities and marginalised processes and actors when we try to understand a historical process. Jane Jacobs, as David Evers’s lecture at Introduction to Urban Planning on ‘(Anti)modernity and planning’ illustrated last week, was one of those figures who was inviting planners to hear the voices of the marginalised groups and include the substandardised spaces into plan making processes. In that respect, looking at 20th century utopians such as Ebenezer Howard, Frank Lloyd Wright, and Le Corbusier as analysed by Robert Fishman we can actually follow how theories that are accommodated by planning scholars today found their roots in early utopian thinkers that are connected to the modern times. From Fainstein and DeFillipis’s point of view, history of planning should not only contain the utopians and their work as the reality of urban development is accommodated (perhaps even dominated in some of the cases) by unknown ‘plural and indigenous’ histories. I think of Jane Jacobs as one of those brave thinkers of the era, who was trying to put the attention on these histories. It is fun to imagine how ideal cities would have looked like if her ideas were accommodated at the time. When we look at ‘modern planning’ today as David Evers presented in his lecture of last week at Introduction to Urban Planning, we can see that the idea that ‘everything should fit perfectly well together (alles moet netjes passen)’, which requires perfect hierarchy of the state, the province and the municipalities, has roots in modernity. The reality is never that perfect and pieces do not always very easily match each other. Contemporary research in urban governance shows that there is a great variety of actors and diversity within them in decision making from private sector to civil society to public sector. This diversity draws a rather hectic, chaotic and substandardised picture, which yet contains a certain structure, regulation and order in it. Planning today takes place within this multi-actor decision making structure that we simplify as ‘governance’, which is quite different than expert-centric approach of the utopians. Yet, I think the 20th century utopias serve us as learning tools in planning schools, though we need to look through the cracks and ‘read’ them in special ways to understand ‘other’ processes in the era to have a comprehensive point of view.